Occasionally, we come across those little annoying problems when organising an art studio, working with paint or when sketching. Sometimes a bit of creativity helps to solve those issues, hence the reason for me to create this section. 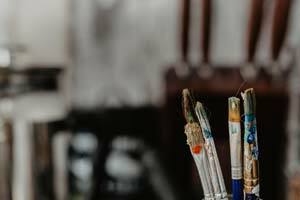 I will add more information over time by adding handy tips and ideas for all those small and large botherations that one comes across over the years when producing art. inventive ideas I have learned over the years. Yes, we all had it coming, the annoying oil paint that sticks on the lid. Well, there are in fact two options. You either prevent that it happens in the first place by using a bit of cling wrap and put it between the paint tube and the lid. For cases where such brilliant precaution hasn't happen, and you are about to get into the usual more violent solution of almost strangling your paints, hold the closed lid of the paint tube in a cup of boiling water for about 15 seconds; it works every time. Every artist will encounter wasting paint when cleaning up for the day. 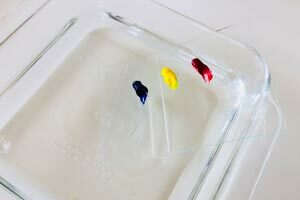 But there is an exciting solution by merely placing the oil on a glass palette and submerge the paint in water; it will preserve the oil for a couple of weeks without loss of performance. The other more known option is to keep the oil in smaller plastic containers and freeze them until you need them. The best Art Academies of the world agree that the hardest issue for all students is learning to paint values correctly because the moment we paint in colour we misread tonal values. The overall rule in painting remains that tonal value is more important than colour. To help you achieve the last tonal touches, it is a great idea to photograph your art with your iPhone or digital camera using the black and white setting, to reveal immediate problems. 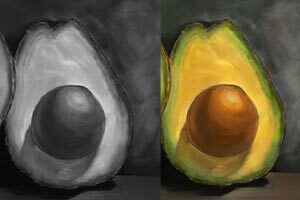 A trained eye will eventually see tonal values without this device, but for training purposes it is a legit help. Once the hair of a brush is bend it is not easy to get it back into shape. But there are methods which I use for my expensive brushes, although I try my best to look after them in the first place, so that I don't need to. I wash the brush and dip it in linseed or walnut oil and to form it back into shape. Once done I use Elmers Glue and let it dry for couple of weeks. 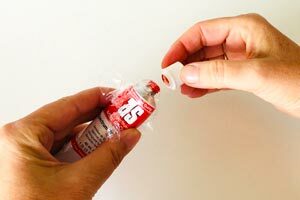 The glue is water-soluble, so all you need doing is washing the glue out and you have your favourite brush back.